Siren Flower Hotel is a 3 stars standard hotel, with 57 guest rooms fresh natural air room style and with various room types which will give you a new feel from the sea. 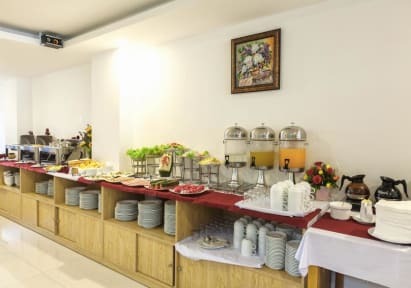 The rooms are tastefully furnished with modern furniture and equipment, depending on the type of room, the room will have windows and balconies facing the sea or towards the city & mountain view. 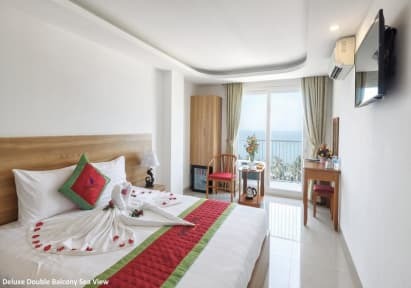 Coming to Nha Trang and stopping at Siren Flower Sea View Nha Trang Hotel, you can fully enjoy the fun moments of relaxing, unforgettable memories in the coastal city of dreaming. 2. Late check-out before 18:00 will be charge 50% of a room night. After 18:00 will be charge full of room night. 3. Children until 5 years old stay for free if using existing bedding, from 6 to 12 years old will be surchage 55,000 VND. 4. Extra person is 250.000VND.